METHOD OF MONITORING POST-OPERATIVE OUTPATIENT FLUID, SURGICAL DRAIN MANAGEMENT, AFTER SURGERY. WEBSITE ADDRESS:(MEDICAL DRAIN HISTORY DATABASE)surgical drain care. HOW TO REGISTER, SIGN INTO DRAIN DATABASE & ENTER DATA. How to care for medical drain tube after surgery. 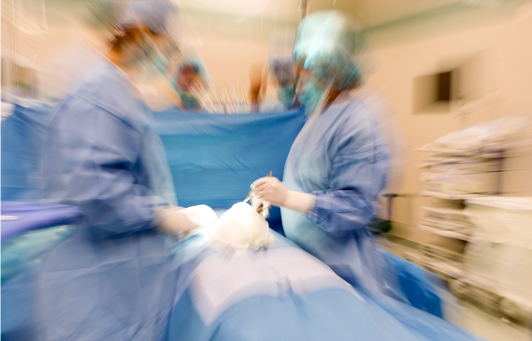 Important to maintain proper surgical drain care after surgery to avoid a chance of infection. Mastectomy patients, cancer patients overall, plastic surgery patients, orthopedic surgery patients and abdominal surgery patients may be sent home from the hospital with one or more drains. 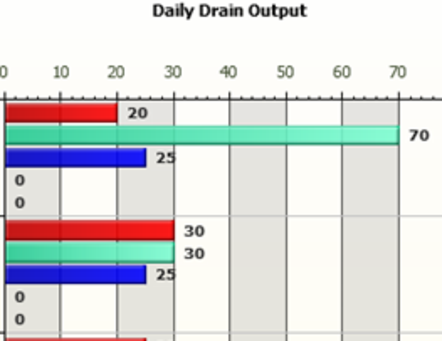 Drain most commonly used is called a Jackson Pratt drain. Patient can use database for personal use and print out records for doctor visit or have the unique ability to communicate medical fluid drainage, comments, Photos, and short 30 seconds videos of drain site, instantly with doctor or home caregiver after surgery. 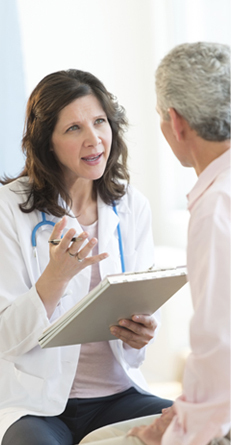 You need to get doctor's or home caregiver's e-mail address to communicate with doctor or home caregiver about your drainage after surgery. 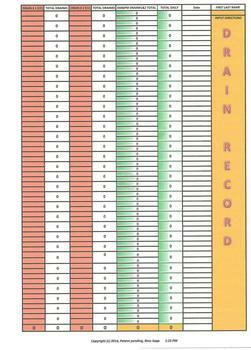 There is a free download of an Outpatient Medical Drain Record Excel spreadsheet for surgical drain management that auto updates your drain record for two drains that can be printed out to take to your doctor. You can also print out a blank copy and fill in by hand. 1. First-time user must register by clicking the register button. This will take you to registration page. 2. REGISTRATION PAGE IS IMPORTANT: Enter First and Last Name. This is used as your userID. EXAMPLE: John Doe. It is important to enter name like example. A. Enter a login password. B. Re-enter password in next field to confirm. C. Enter your e-mail address and click SUBMIT. 3. You will be directed to PayPal for payment, ($4.99 for 1 month, $5.99 for 2 months, or $6.99 for 4 months). You will be re-directed to logon page after payment. Put in your username and password just like when you registered. Everything is case sensitive. Click submit to enter database menu. There is a help link after you register which helps management of records, input of records and view of report and charts. There will be a button at top of USCdrain page, to email doctor or home caregiver, your username and password. Click email button and enter e-mail address of doctor or home caregiver and click OK.
AFTER THE DOCTOR or HOME CAREGIVER RECEIVES AUTO GENERATED E-MAIL, WITH PATIENT’S USERNAME AND PASSWORD, THE DOCTOR OR HOME CAREGIVER WILL SIMPLY SIGN INTO DATABASE, TO VIEW, AND ANALYZE PATIENT'S MEDICAL DRAIN RECORDS, PHOTOS AND SHORT 20 TO 30 SECOND VIDEOS. Learn how to record and manage your medical drain tube after surgery today!